Sometimes you just want to read a story; Mr. King is a master story-teller. I have not read much of Mr. King's work and not for a long time. 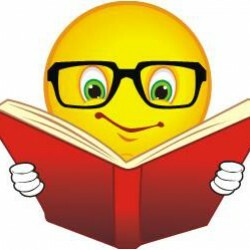 I have only read "The Stand", "Pet Sematary" and "Needful Things". However, three of my favorite movies are stories by Mr. King - "Shawshank Redemption ('Rita Hayworth')", "The Green Mile" and "Stand By Me ('The Body')". What great stories these are. The first time I saw "Stand By Me", after the pie-eating scene, I remember thinking where do writers get these stories? My mind is certainly devoid of this type of imagination. Maybe the saying should be 'Those who can't write, read'? 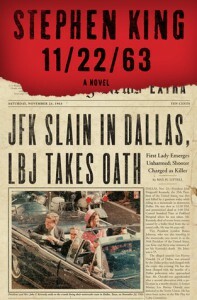 While "11/22/63" is a bit bloated it is a good story. Of course I am partial to the 'Time-Travel' genre (See Connie Willis' Oxford Time Travel Series) but there is not a lot of time-travel in the book if you are not. Also, a lot of information about Lee Harvey Oswald. There is no conspiracy stuff; not the point of the novel. If you do not read Mr. King because of his propensity toward Horror/Paranormal books this is an opportunity for you to give him a try.